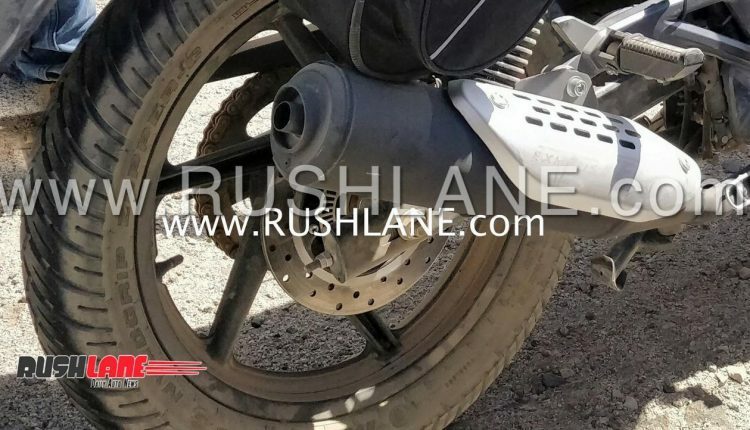 The motorcycle gets dual-channel ABS with rear disc brake. 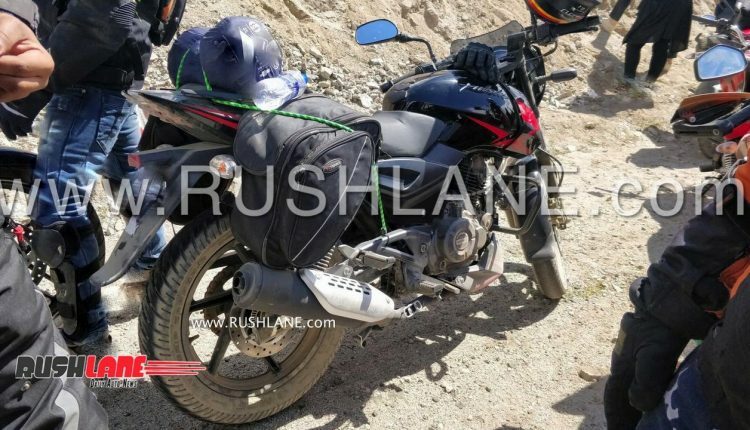 It’s only a matter of time before the motorcycle makers upgrade their products to comply with the new Indian safety standards which mandate ABS for two wheelers with displacement more than 125 cc and combi braking system for small displacement models. 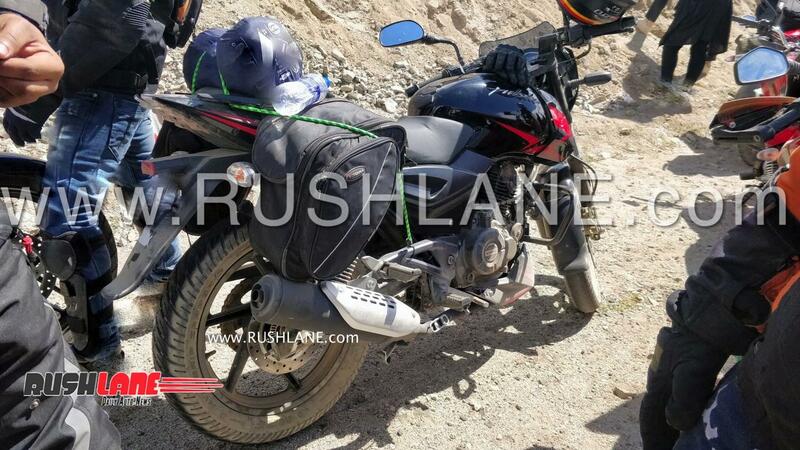 So, it’s not a surprise that Bajaj has already started testing the Pulsar 150 ABS model already. 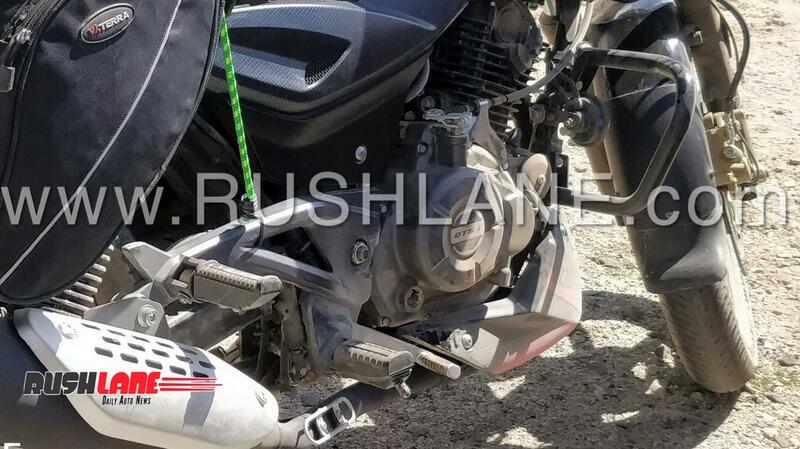 A fully production ready Bajaj Pulsar 150 ABS prototype has been spied up close recently. The comprehensive safety update involves rear disc brakes with dual-channel ABS (the rear disc features the ABS encoder ring). In addition to the braking system update, the best selling Pulsar variant also receives a host of other goodies. 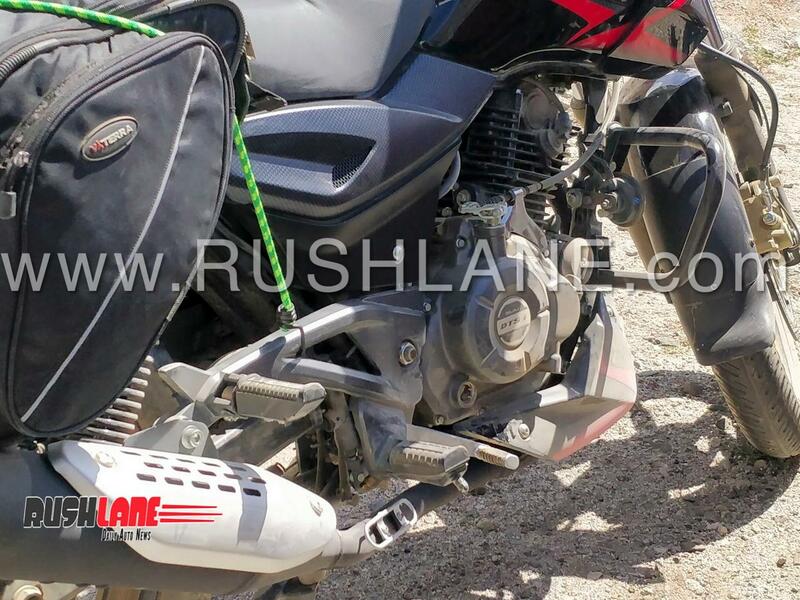 The silencer end-canister looks slightly larger than that of the current model, suggesting that the new Bajaj Pulsar 150 would be BS-VI compliant. We expect the 149 cc air-cooled engine to be retained but it would receive some tweaking to reduce emission and improve performance. In its current state of tune, the motor has rated power and torque outputs of 14 PS and 13.4 Nm respectively when mated to a 5-speed gearbox. Visually, the upcoming model continues to feature the same design that is widely loved by the target audience but a belly pan with matching dual-tone color scheme has been added. The feature highlights include clip-on handlebars, tubeless tyres, LED taillights, tubeless tyres, and so on. 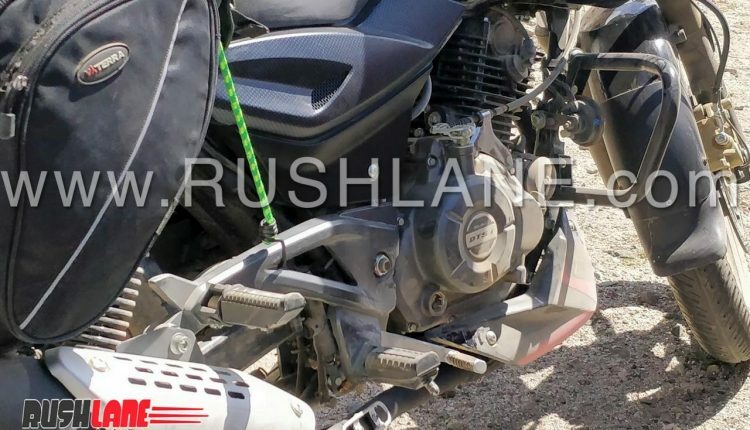 The new Bajaj Pulsar 150 ABS continues to ride on regular telescopic front fork and 5-step adjustable gas-charged rear shock absorbers. Considering that there are no changes to the fuel tank, the capacity would remain at 15 liters. From the spyshots, we can see that the 80/100-17 front and 100/90-17 rear tyres have been carried forward as well. 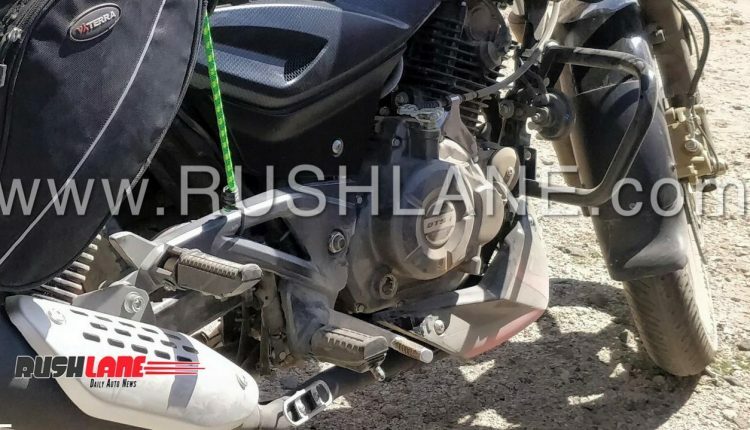 The 2019 Bajaj Pulsar 150 ABS is expected to be introduced in the next few months, in time for the festive season. The motorcycle will continue to have an excellent value for money quotient as its USP. The disc brake variant is priced at about Rs 79k, ex-sh as of today. With the addition of dual channel ABS and new features, expect price of new Pulsar 150 ABS to be in the range of Rs 90k.